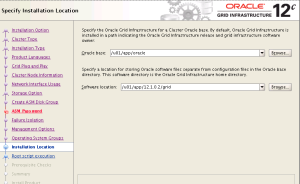 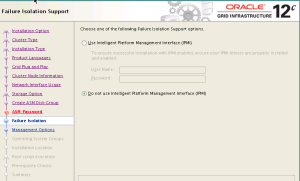 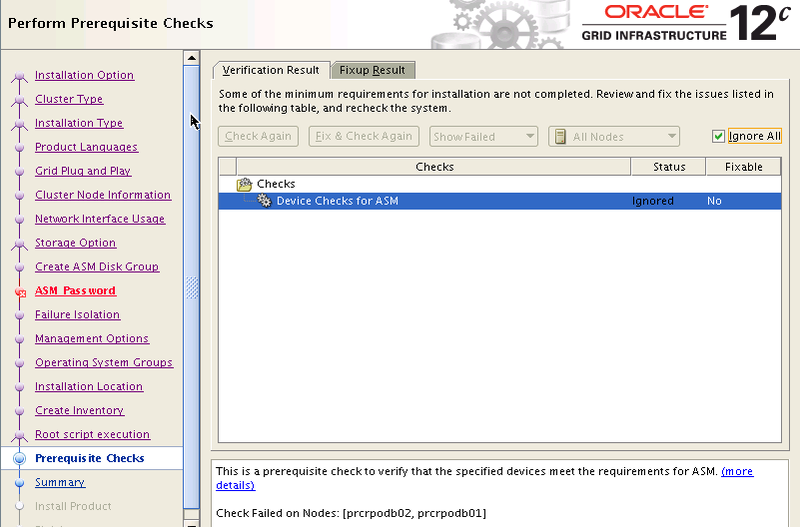 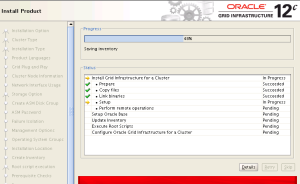 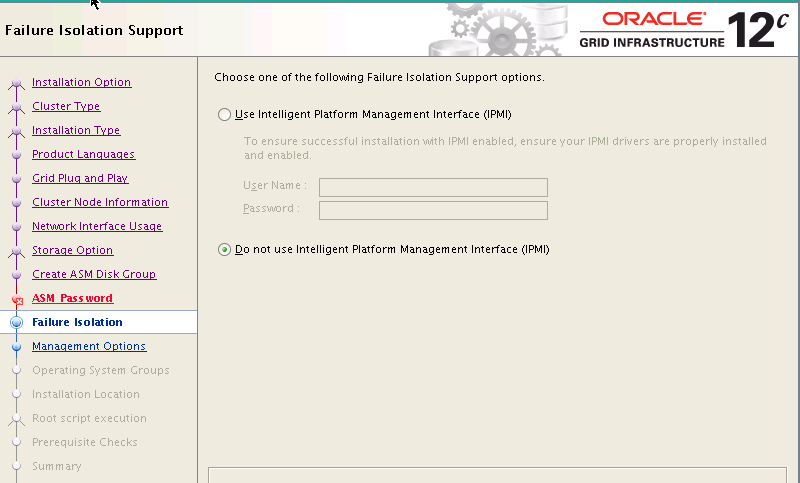 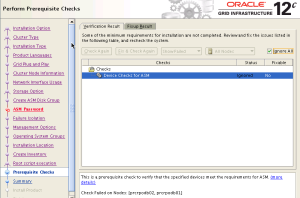 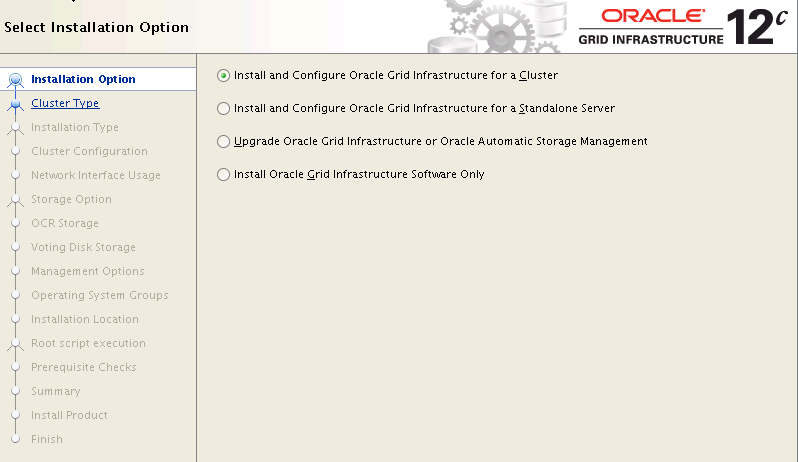 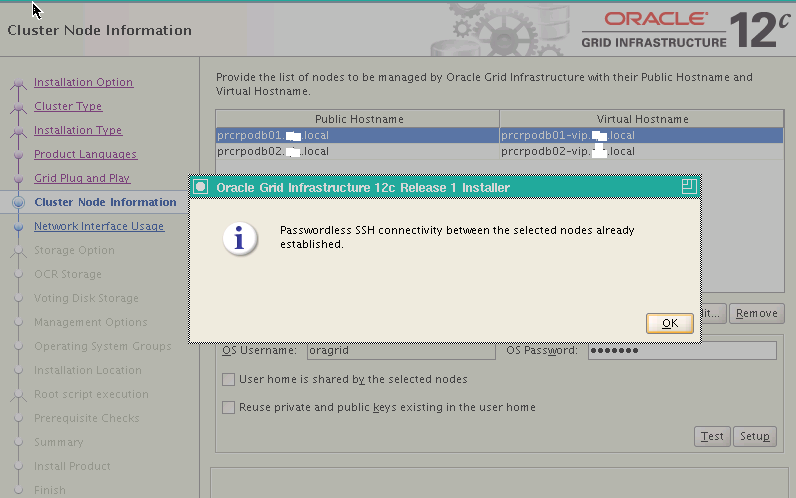 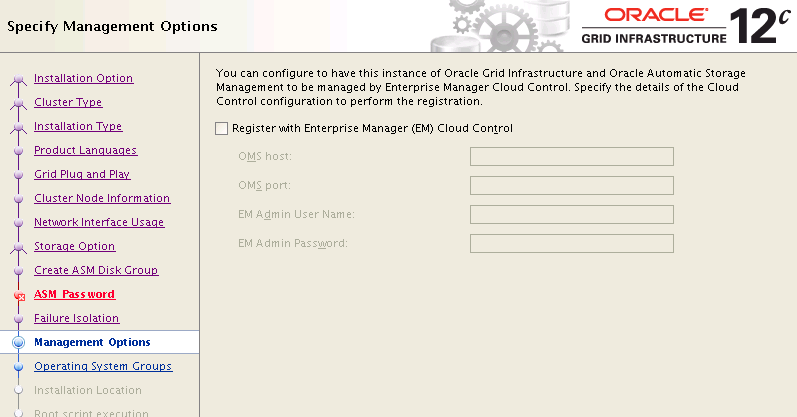 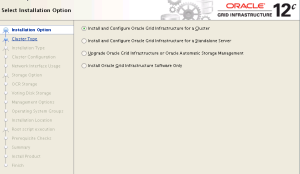 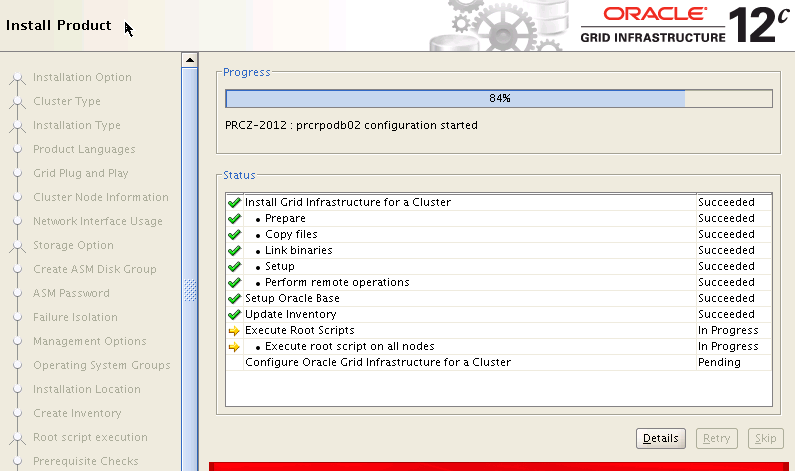 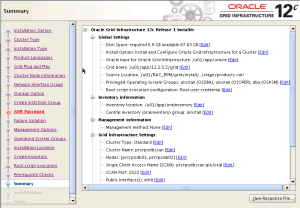 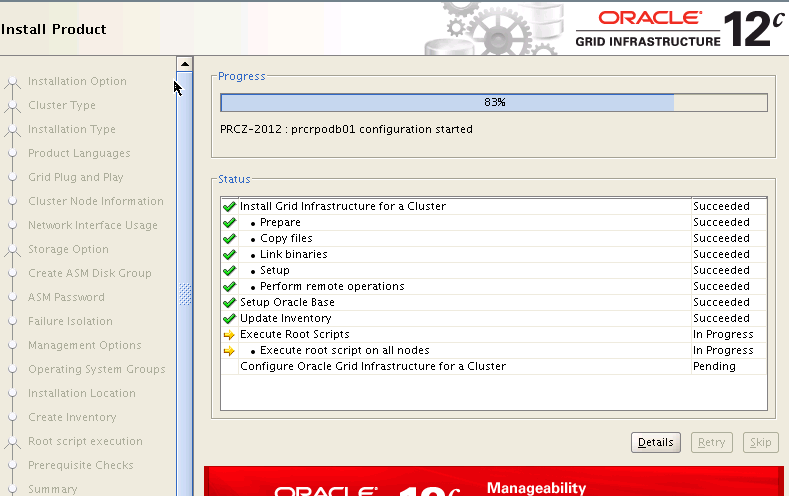 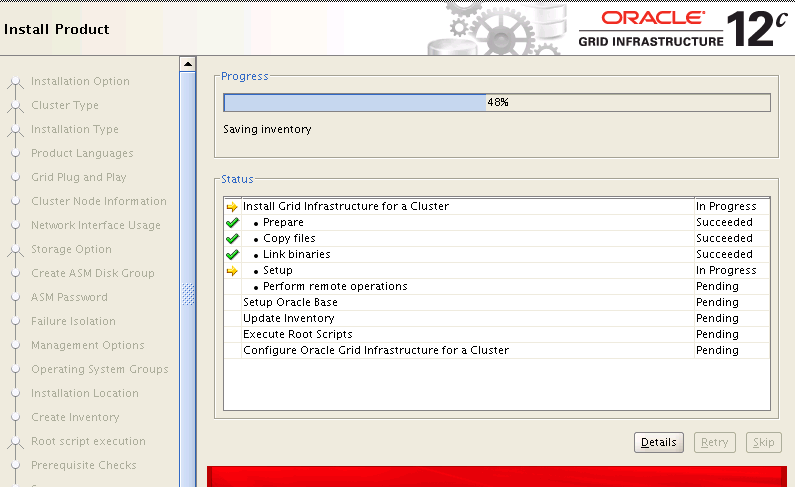 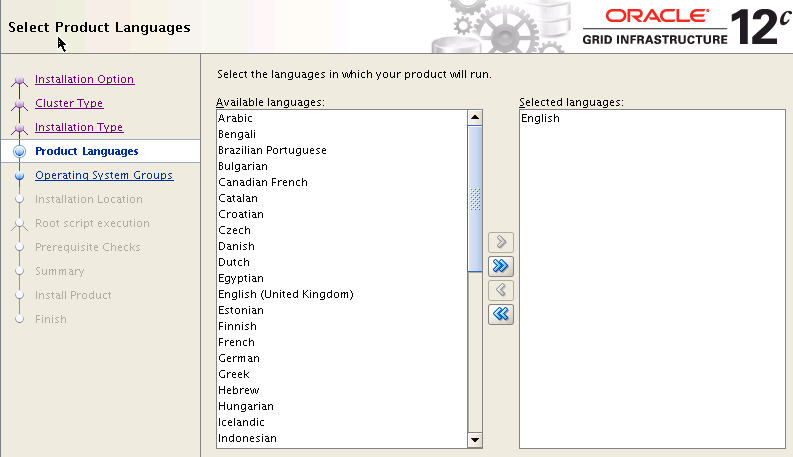 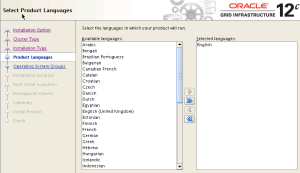 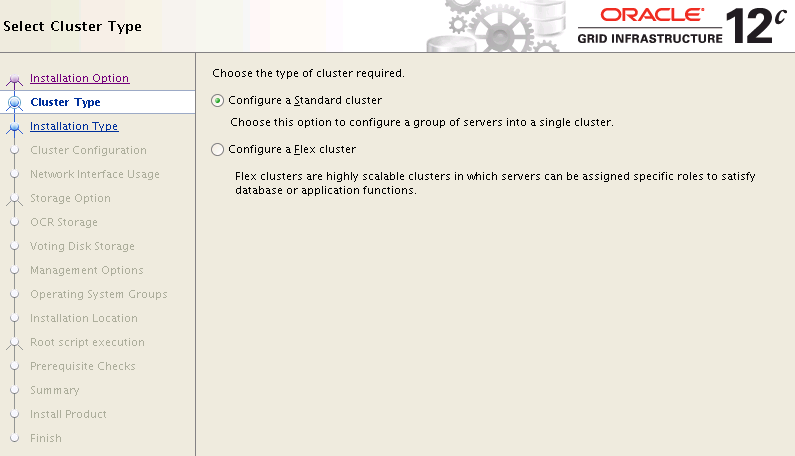 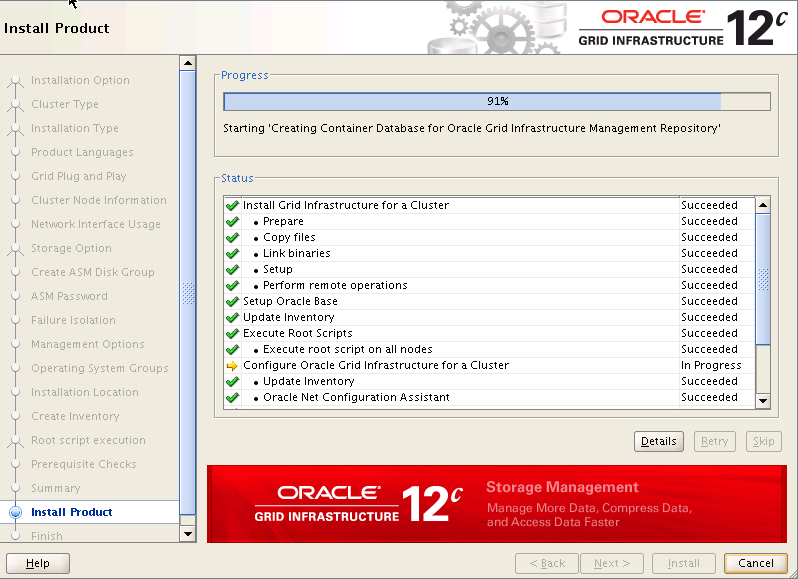 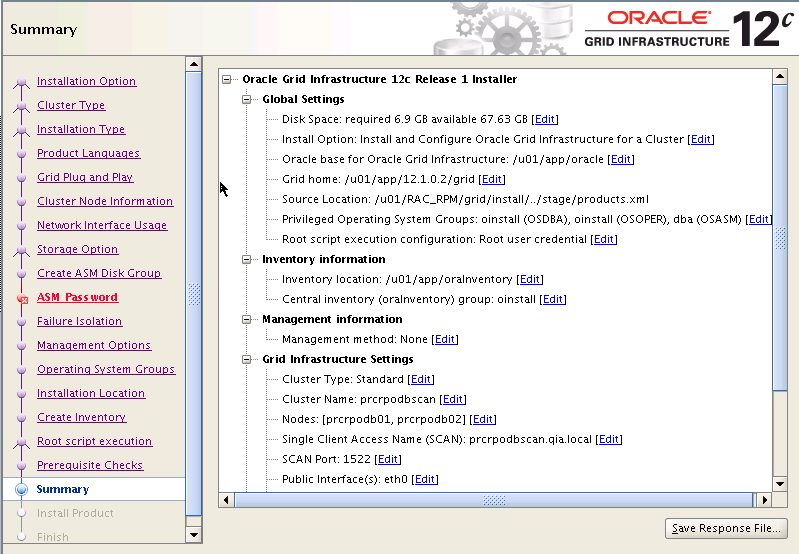 Before you install the Grid,Clusterware and the Database, you must complete several pre-installation tasks. 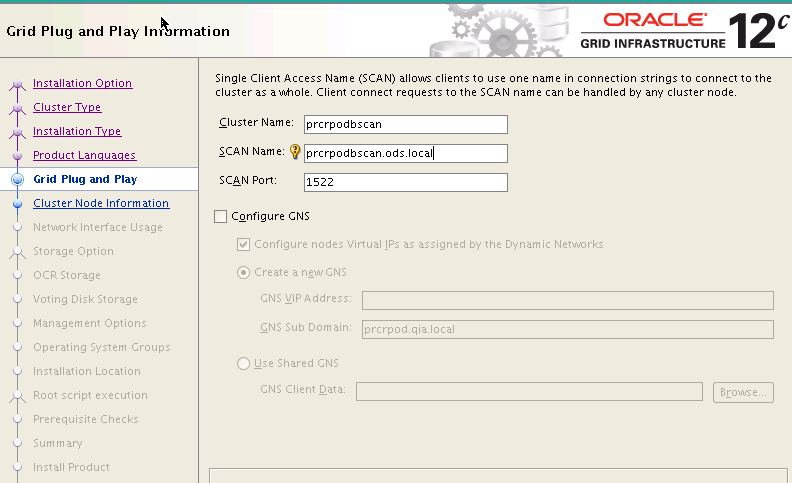 4) SCAN IP – Does not need a NIC card however needs to resolved by DNS i.e it should have a fully qualified domain name in the hosts file as well as the DOMAIN. 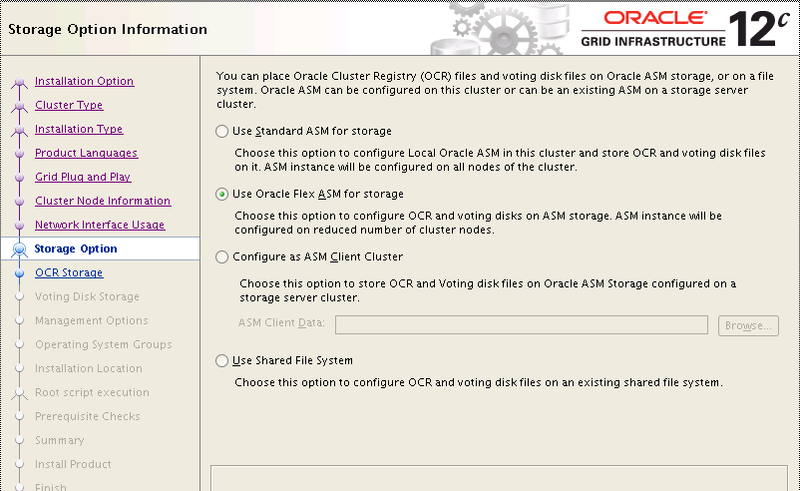 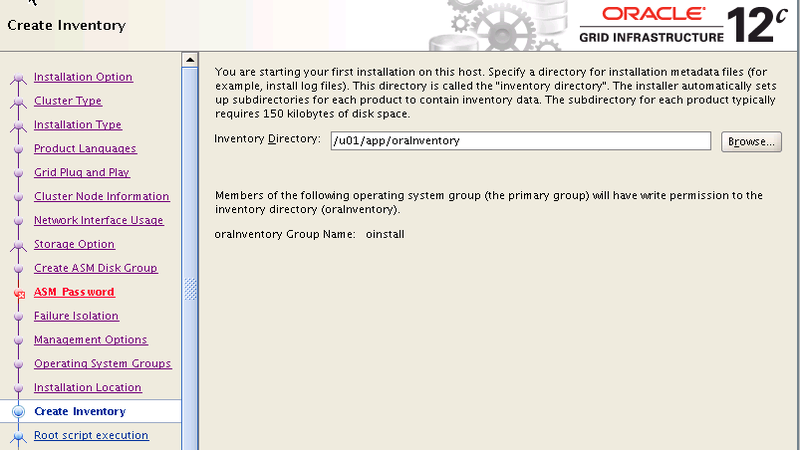 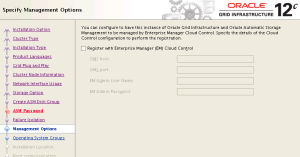 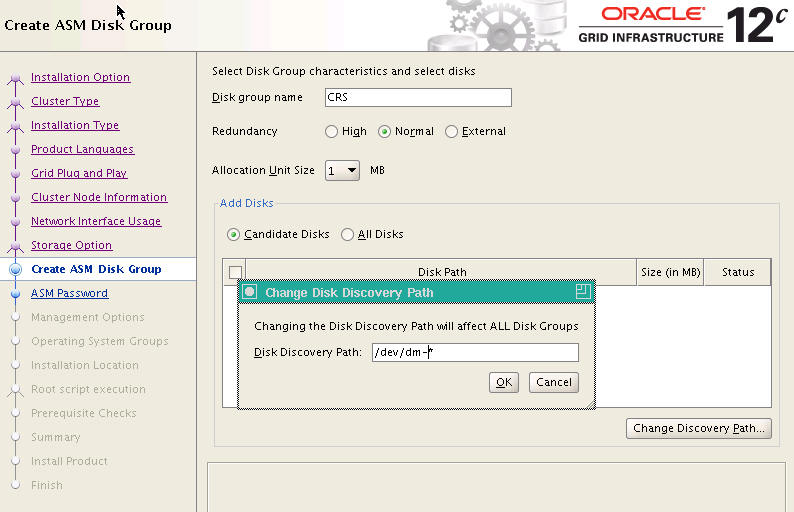 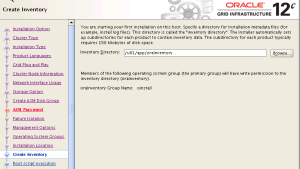 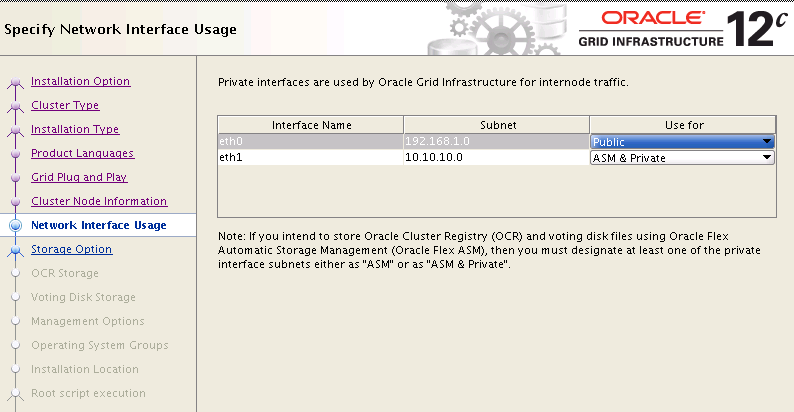 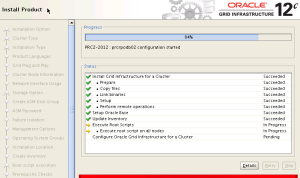 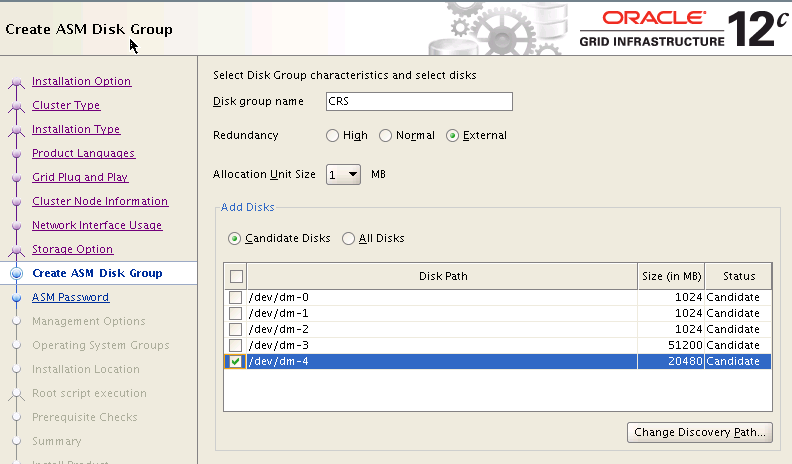 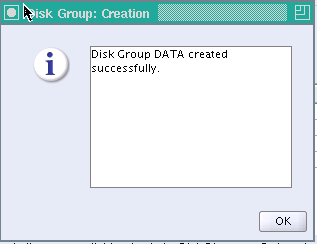 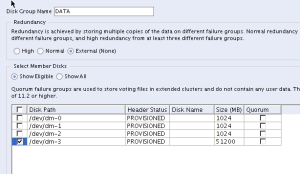 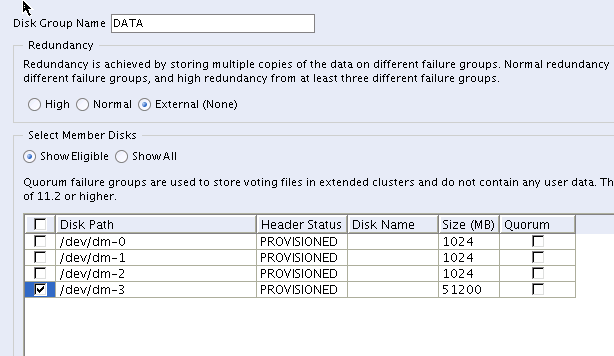 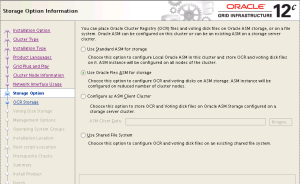 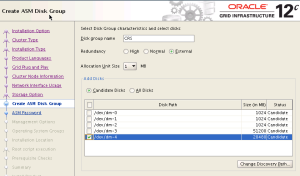 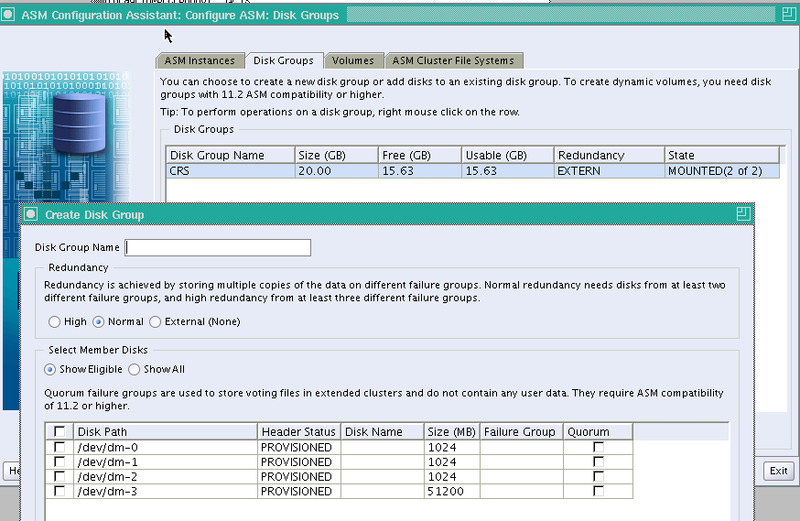 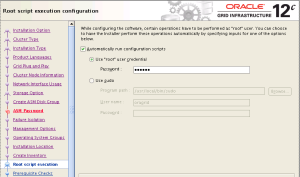 11) 20 GB LUN minimum for creating CRS Diskgroup. 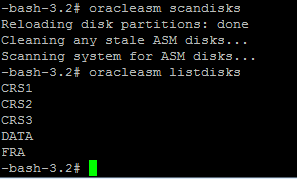 2)Use ”free –m” to check the size of memory in Linux. 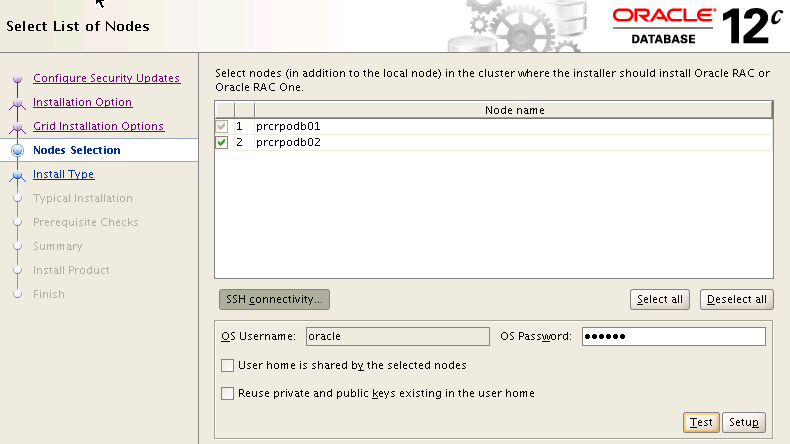 Login as oragrid user and set the environment in .bash_profile on all cluster nodes. 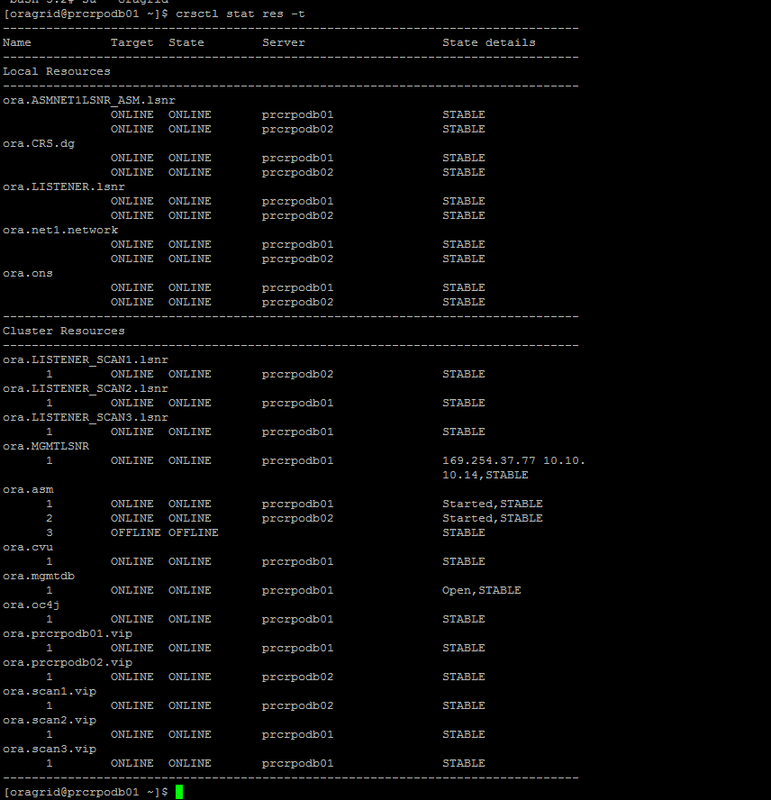 Add or amend the following lines to the “/etc/sysctl.conf” file on all nodes. 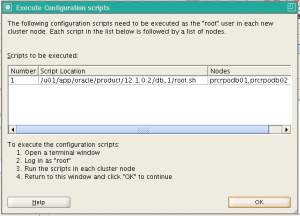 Add the following lines to the “/etc/security/limits.conf” file on all nodes. 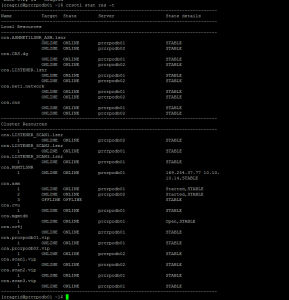 Make sure the “/etc/resolv.conf” file includes a nameserver entry that points to the correct nameserver. 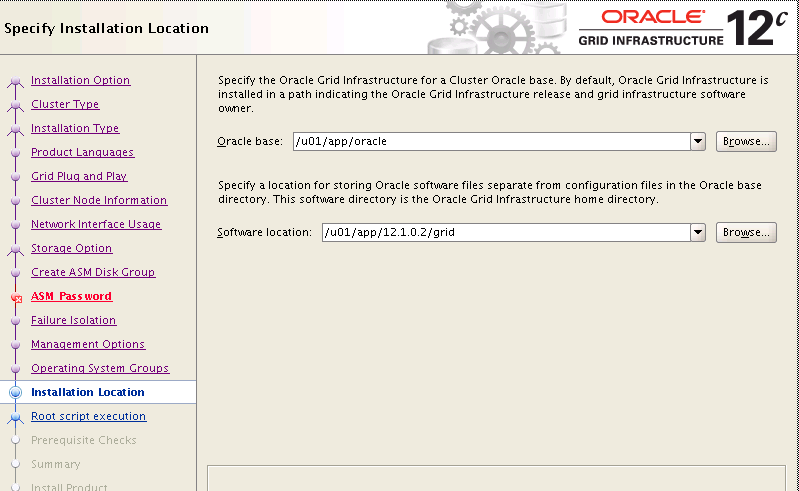 Also, if the “domain” and “search” entries are both present, comment out one of them. 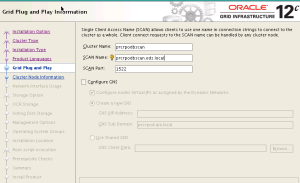 Check if scan name resolves all the 3 IP’s in DNS. We have two LUNS assigned with 50 and 20 GB. 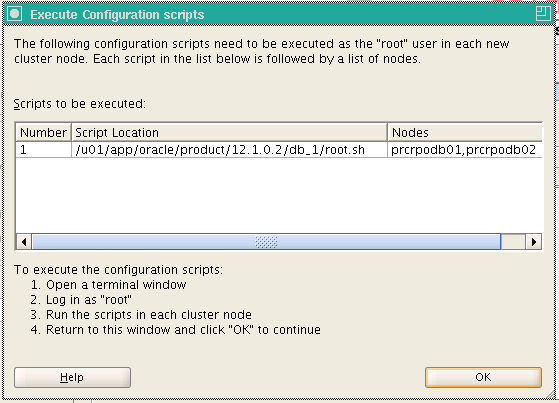 Execute below commands on node 1. 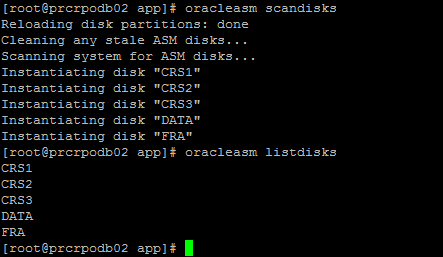 Execute scandisks command on node2 to instantiate the disks created on node 1. 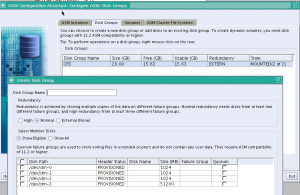 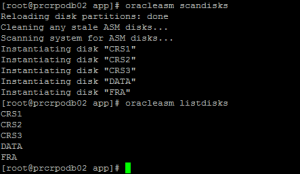 Create ASM Disk “DATA” before creating a database using asmca. 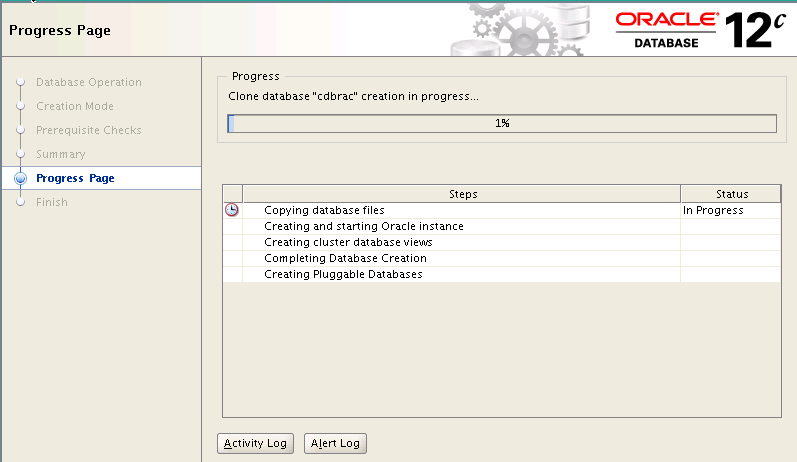 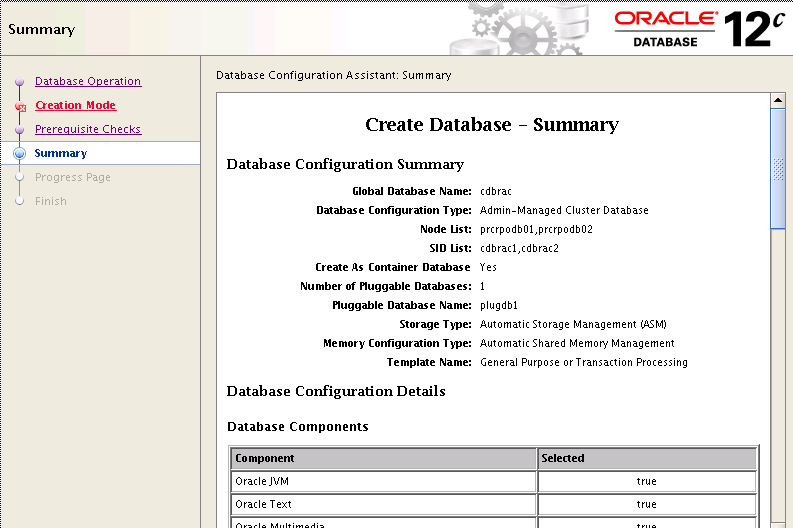 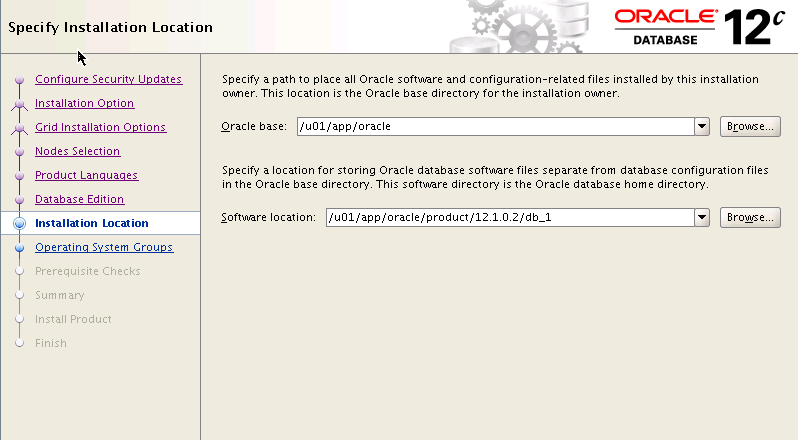 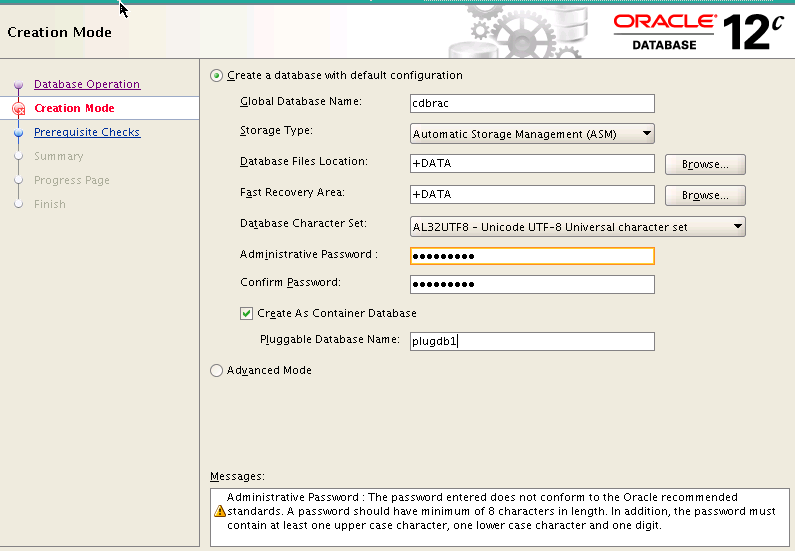 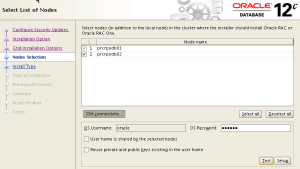 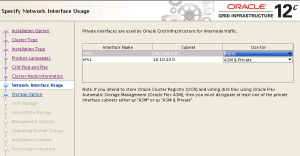 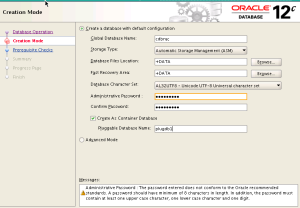 Create pluggable database using dbca.